Can You Recover Compensation For A TBI Sustained In A Car Accident? 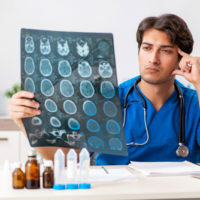 A TBI, or traumatic brain injury, is one of the most catastrophic of all types of injuries that a person can sustain in a personal injury accident. TBIs occurs when a person hits his or her head on an object with excessive force, or when a person’s neck snaps back and forth hard enough that it causes his or her brain to hit either side of the skill in succession. It is not uncommon for victims of car accidents to sustain TBIs, especially if the accident is severe enough to cause a person’s head to hit the dash, the seat in front of him or her, or the windshield. TBIs can range in severity, with some resulting in complications that last as little as a few weeks to a few months, and others resulting in injuries that last a lifetime. Unfortunately, no matter the duration of the symptoms, almost all of them have the potential to negatively impact a person’s life in numerous ways. For this reason, it is essential to seek medical attention immediately after sustaining a blow to the head, even if you do not believe that you sustained a TBI. Your decision to act, or not act, may impact your ability to recover compensation when you need it the most. TBIs can be costly and life-altering injuries, which is why it is essential that you receive a thorough medical examination after an accident that resulted in a blow to your head. Your medical records of both before and immediately after an accident can serve to prove one of the most crucial elements of a personal injury case: causation. That said, causation is only part of what you need to prove in a personal injury claim. You also need to prove negligence. Negligence, as defined by the law, refers to one’s “failure to behave with the level of care that someone of ordinary prudence would have exercised under the same circumstances.” According to the legal definition, a person is considered negligent if he or she should have known that his or her conduct would have resulted in harm, or if he or she failed to take certain precautionary measures to reduce the risk of harm. Of course, you will need evidence, which may come in the form of police reports, eye witness testimonies, photographs, blood and field sobriety tests, and first-hand accounts of the incident, to prove your case. Even if your case seems cut and dry, it is not always easy to prove negligence in any type of car accident case, much less one involving injuries that, for all intents and purposes, cannot be seen. That said, because of the sensitive nature of TBI cases, and because of what is at stake, it is crucial to the outcome of your case that you retain the help of an aggressive and knowledgeable Miami car accident attorney. The right lawyer can help you put together the right evidence and advocate on your behalf to ensure that you receive the compensation you need and deserve to recover a fair award. Contact Spencer Morgan Law today to schedule your free consultation.